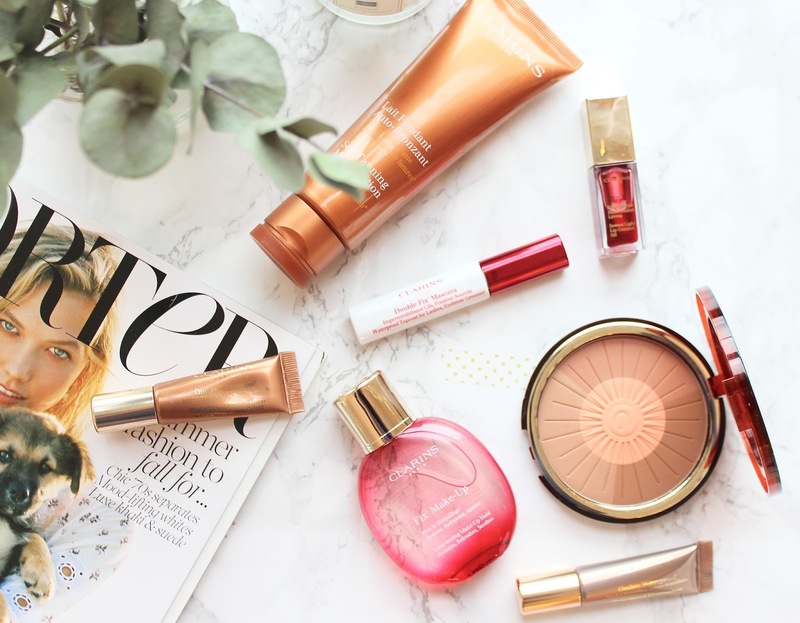 It's that time of year again when Clarins reveal their new summer releases and as with previous years they have not disappointed us. This year their summer collection is as beautiful as always and makes me want to go on sunny beach holiday immediately. 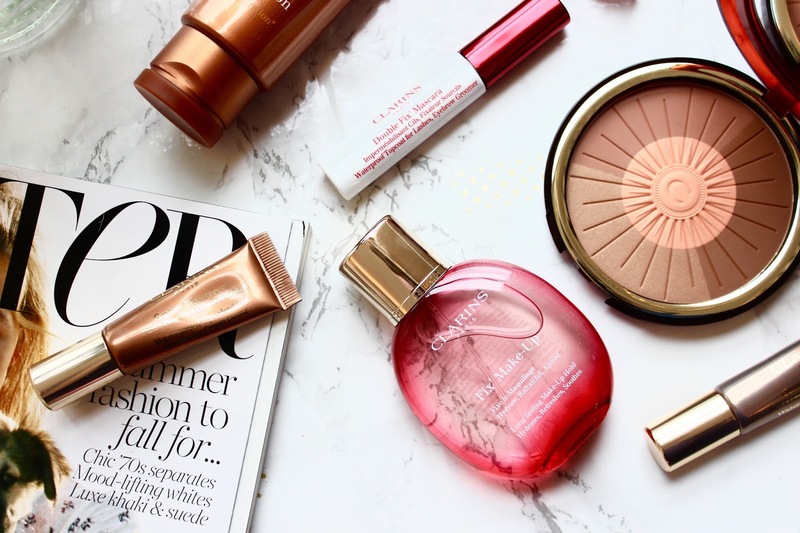 Every year Clarins release they new summer bronzer and this year they combined both bronzer and blush in one compact. It contains a lovely mix of bronze and peach colours which give a lovely overall glow. I think the idea is that you swirl your brush around the outside bronzer section of the compact and then finish with the peach blush in the centre. 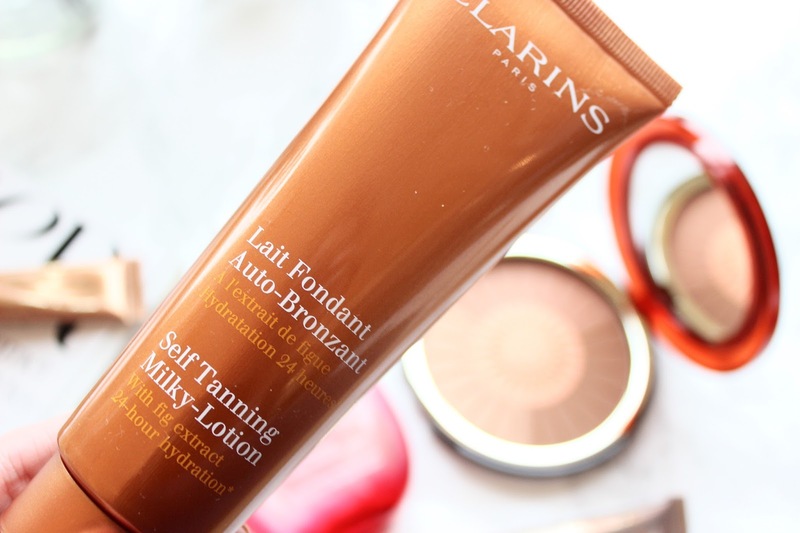 Sticking with the bronzed theme another summer product from Clarins in their Self-Tanning Milky Lotion with fig extracts which works to nourish the skin whilst giving a light golden glow. I often find that fake tan leaves my skin feeling quite dry so I always look for tanning products that contain something to add moisture back in as I find that it makes the tan last much longer. A few other launches this summer are the new waterproof cream eyeshadows which are insanely long lasting and come in a beautiful orange/bronze, taupe/grey, golden peach and copper brown shade. Then along with the waterproof shadows are a make up fixing spray for long lasting make up and the Double Fix' top coat mascara which turns any mascara waterproof. Lastly and probably the thing I'm most excited about is a new addition to the incredible Comfort Lip Oil range in a beautiful Raspberry shade. 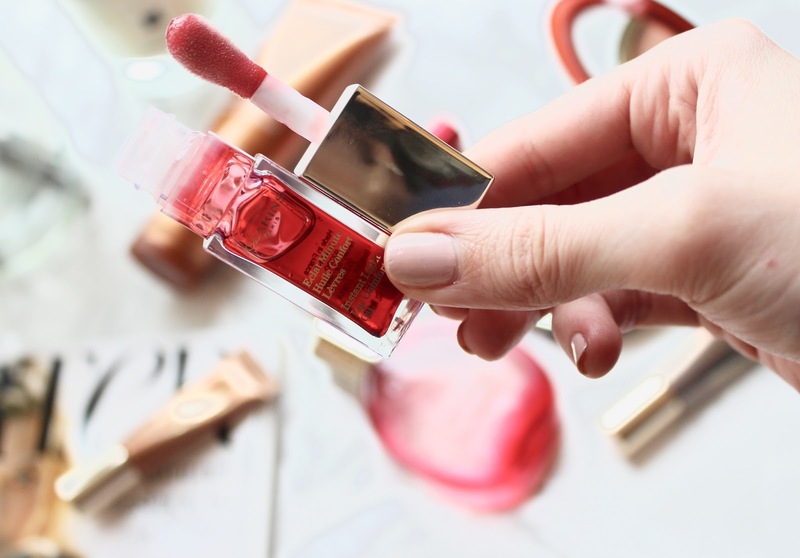 I cannot explain how much I love the Comfort Lip Oils, they're the most nourishing lip product I've tried and form a moisturising film over your lips leaving them so soft. I keep one under my pillow every night and apply a really thick layer before I go to sleep as I feel like it protects my lips for hours and prevents them from getting chapped. As you can probably tell from the new releases, they're all aimed at bronzed skin and long lasting make-up and absolutely perfect for summer. Have you tried anything for their new collections? The new collection is so gorgeous, I love the eyeshadows and makeup fixing spray! 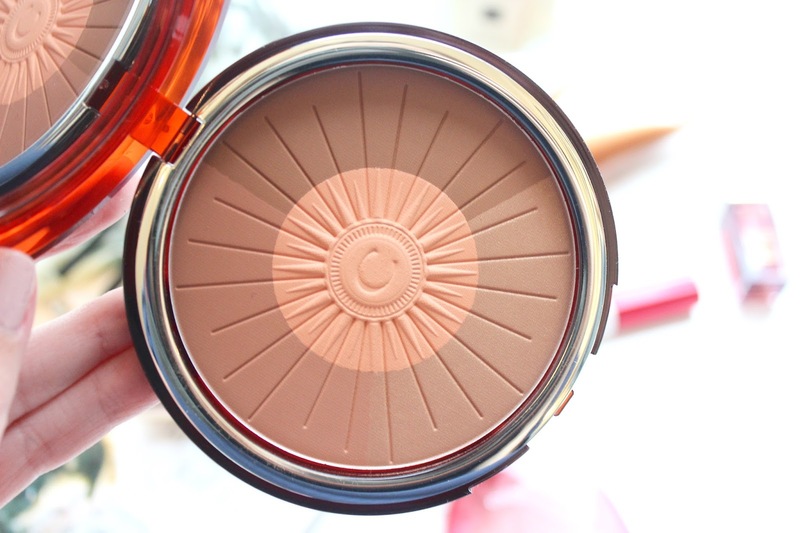 SUCH a beautiful bronzer, I love the size and colours in the pan! I've had the original lip oil and loved it but I love the colour of this tinted one!